This year, buyers have many options of the off-road runner as the companies have already introduced one of the best trucks in the market including RAM 1500 Rebel and Ford f-150 Raptor in Detroit Auto Show. Now, Mercedes comes with something that looks the same as the previous model but this one is ahead in specs and price. 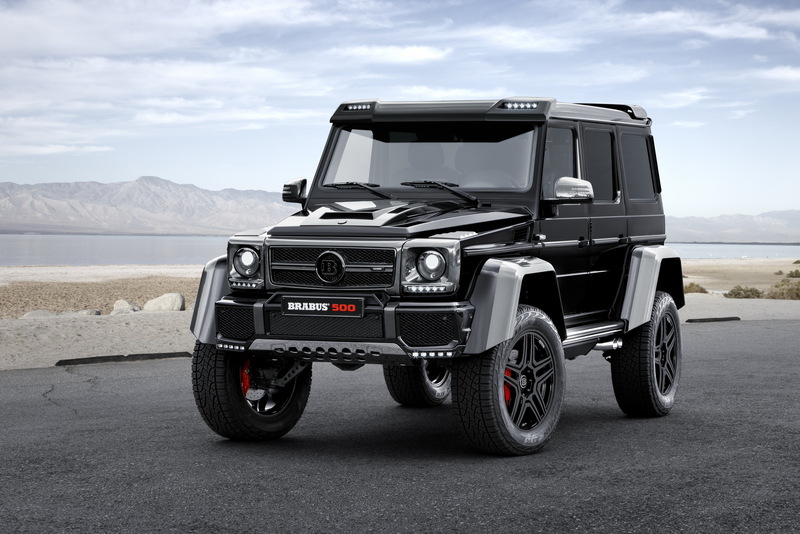 Mercedes has shown off its latest Mercedes Benz G500 4×4², which is being considered extreme off-road runner. It has been 2 years since they launched G63 AMG 6×6, and now the upgraded model that gives a glimpse of the demon in black. Mercedes Benz G500 4×4² is expected to arrive at the Geneva Auto Show very soon. Thanks to the 4×4² axles that make it possible to pass extremes tests on steep and slops. 4×4² keeps enough clearance from the ground, so it can easily make through rocky terrain. It seems Mercedes Benz G500 4×4² can only make its appearance in a desert or off-road terrain because it will be very tough for this demon to beat other evils in European cities. There are many good looking trucks available with enough powerful specs, and good exterior that keeps them away from discrimination when you park your truck next to a good looking car. That is why customers always opt for powerful and as well as good looking SUVs such as Jeep Cherokee, Range Rover etc. but this is definitely going to be an off-road evil. Mercedes Benz G500 4×4² is powered by all four wheels along with a powerful engine. It carries a heavy twin-turbocharged engine in front which is capable of producing 416 horsepower at 6250 revolutions per minute and 450 lb-ft torque at 1750 revolutions per minute, its engine has intercooled DOHC 32-valve V-8 with direct fuel injection. The 7 automatic speed transmission with manual shift mode can be seen from outside. The 4 door hatchback has 5 passenger capacity. The dimensions are 187.5 in (Length), 82.7 in (Width) and 88.6 in (Height), wheelbase is expected around 112.2 in. It would be giving an estimated mileage of 10 mpg in city and 13.5 mpg on motorway. 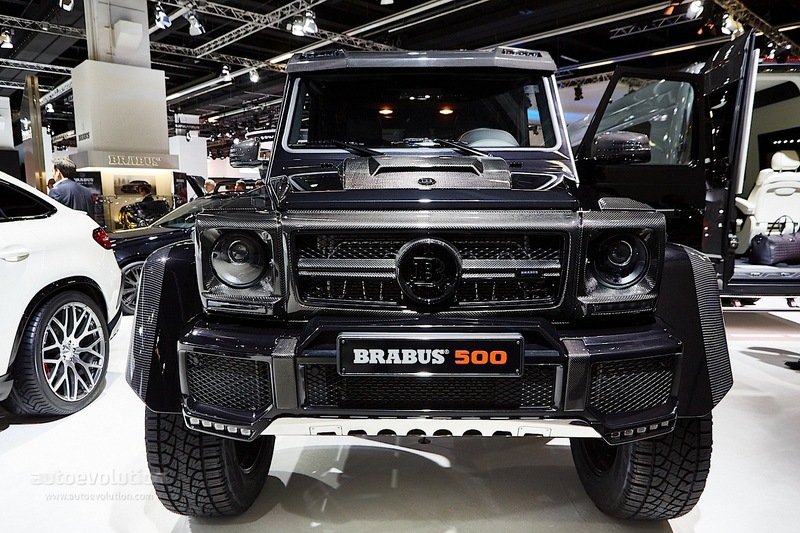 G500 4×4² weighs around 6000 lb, and its displacement is 243 cu in along with 3982 cc. The new Benz G500 4×4² takes little more time (15.5 seconds) to touch 100 mph though it can touch 60 mph in speedometer in less than 6 seconds, while its top speed is 130 mph. We don’t expect it to give us more than this in terms of speed as this is made for off-road, after all, we know that the speed does not matter on off-road tracks. The main thing to survive rocky steep tracks is the suspension, axle, wheelbase, tires grips etc. which will definitely be given by G500 4×4². Mercedes Benz G500 is great powerful off road evil. This may be seen in Geneva Motor show.